Born in Maracaibo dual Venezuelan and Spanish nationality, Alejandra Cova made her studies with professor Francesco De Angelis at the HEMU of Lausanne in Sion where she obtained her Masters in Pedagogy and Interpretation with distinctions. She made several violin masterclasses with Sergiu Schwartz, Mi-Kyung Lee, Ivry Gitlis, Miriam Contzen, Ilya Gringolts and took conducting lessons with Gustavo Dudamel. Alejandra Cova was second violin solo for the Symphonic Youth Orchestra Simón Bolivar, directed by Gustavo Dudamel and she also performed concerts under the direction of Claudio Abbado and Simon Ratlle with tours in Europe and America in different renowned festivals. She won three times the First prize with congratulations in the “« Jóvenes Talentos de Venezuela » competition and first prizes at the «Concurso Nacional para Violín José Francisco del Castillo » and at the «Concurso de Violín Promesas de la Música». Passionate teacher, she gave several masterclasses in Columbia and Venezuela. 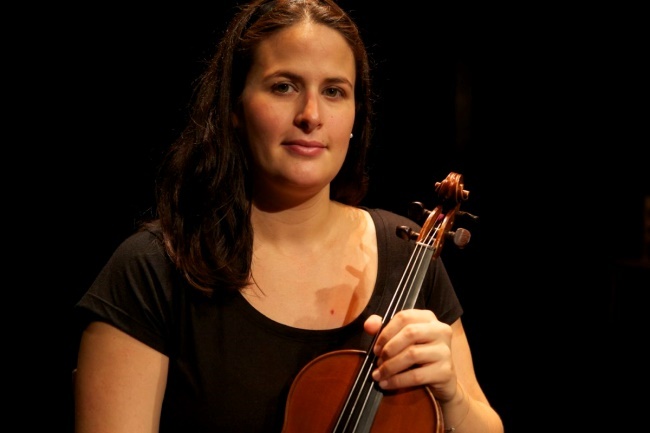 Currently she is the violin teacher and director of the music school A Tempo in Sion.